Landscape Architecture is an art dealing with the planning and design of the exterior environment and its natural elements; plant materials and land forms, and their relationship with the built form.To develop creative solutions to problems, a Landscape Architect draws from a broad combination of skills and training in the fields of architecture, science, civil engineering, horticulture, and the arts. 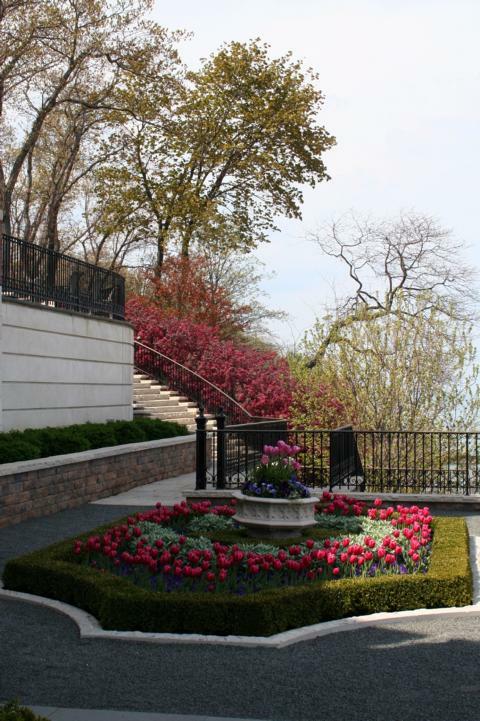 Nancy Lyons Hannick established NLH Landscape Architects in 1987 as a full service firm with the committment of providing personalized landscape architectural services for a client base in and around the Chicagoland region. Her approach to planning and design emphasizes the client's involvement in the design process to ensure it's sucessful outcome. Nancy offers her clients a complete range of design services, from the initial site analysis and evaluation, to preliminary design, cost estimation, preparation of final design drawings and specifications, to construction supervision and project management. She strives to be environmentally sensitive to the project site, responsive to the architectural character of the development and compatible with the program, budget and time requirements of her client. Ms. Hannick's expertise has been acknowledged by her colleagues with awards from the Illinois Landscape Contractors Association and the Illinois Chapter of the American Society of Landscape Architects. She has been published in the Chicago Tribune, Chicago Magazine, North Shore Magazine and Chicagoland Gardening. Nancy Lyons Hannick welcomes the opportunity to demonstrate her capability and effectiveness in providing personalized, innovative, and functional solutions to your projects.